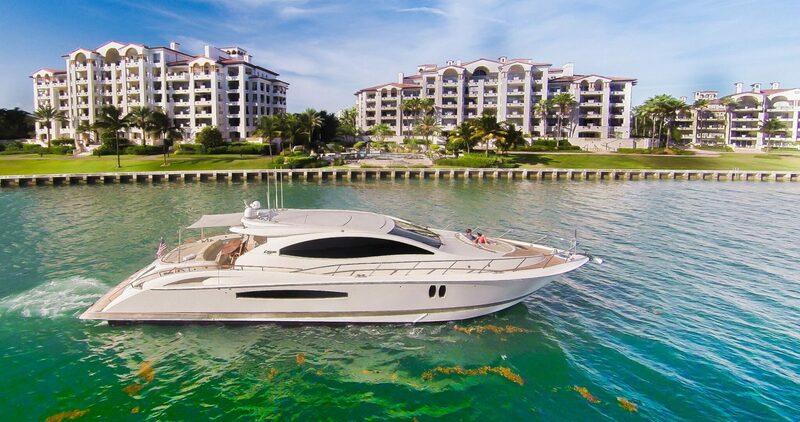 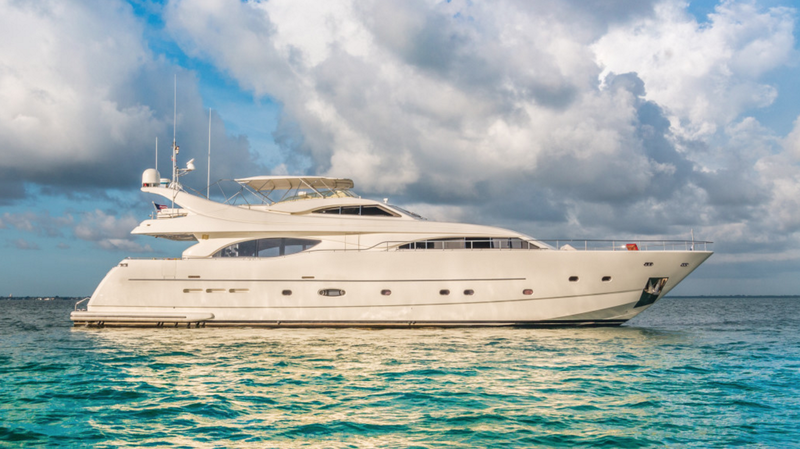 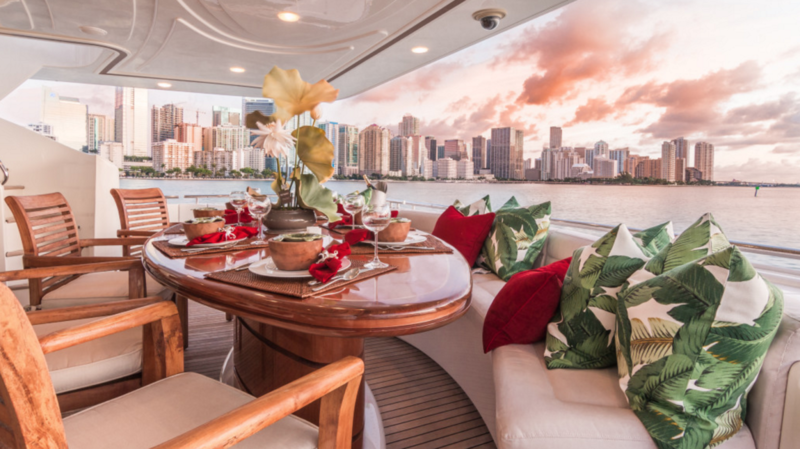 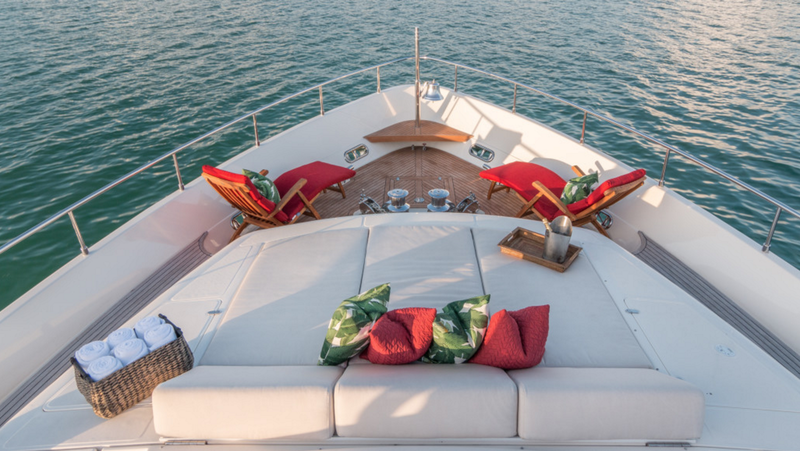 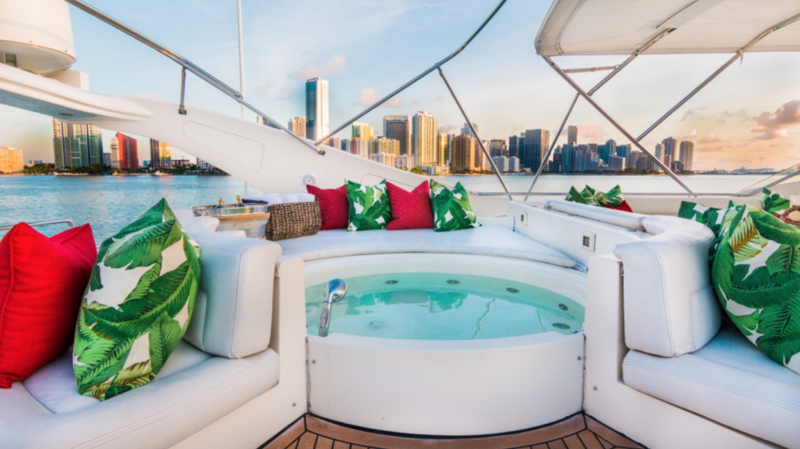 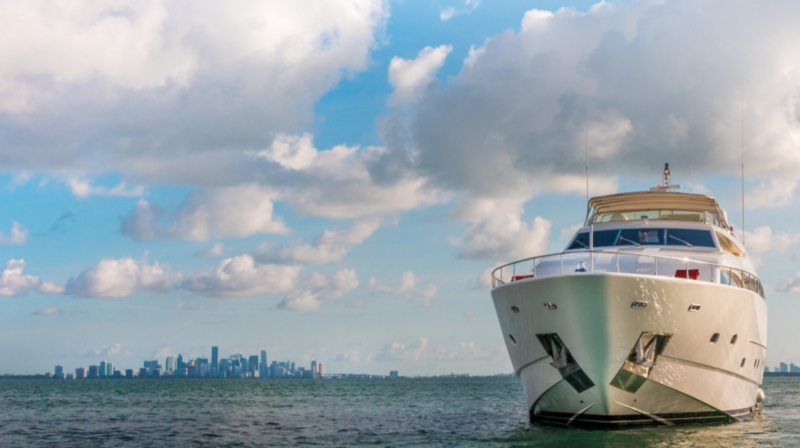 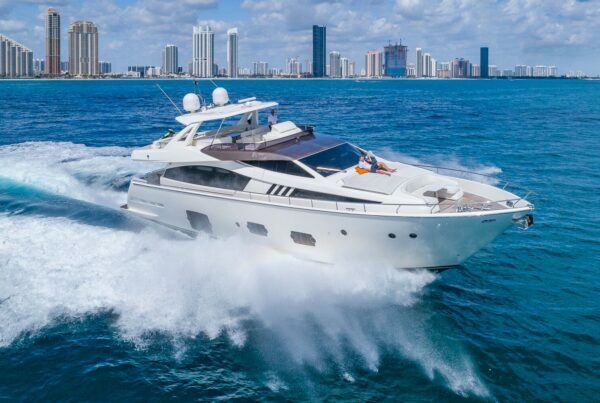 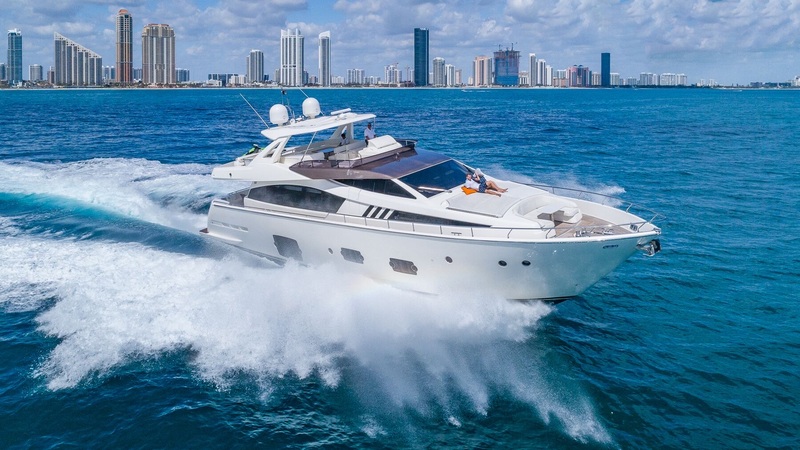 The 94′ Ferretti has it all. 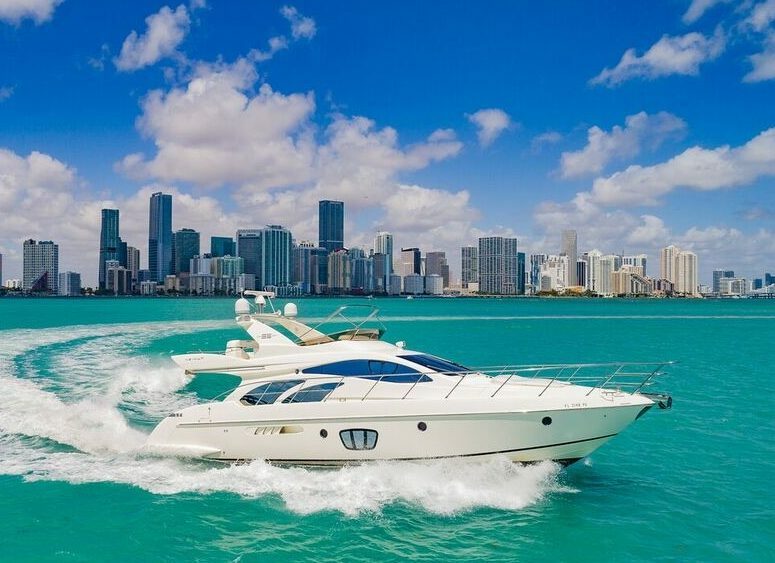 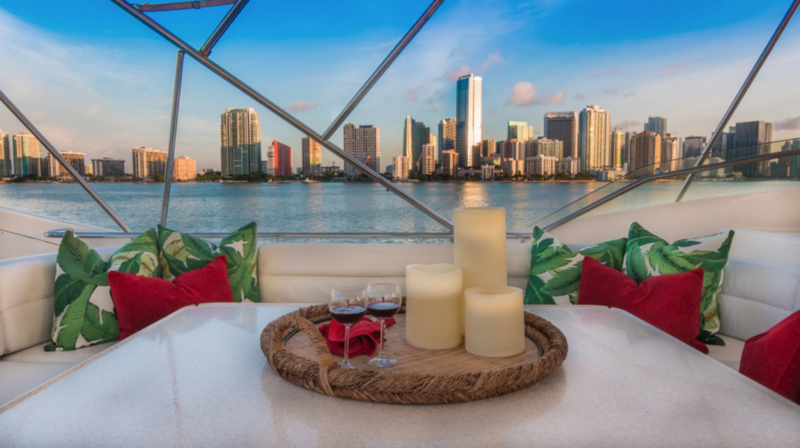 Deck, Jacuzzi, two wave runners, water skiing boat, generous spaces on three levels and a superb crew to service your boating and dining needs. 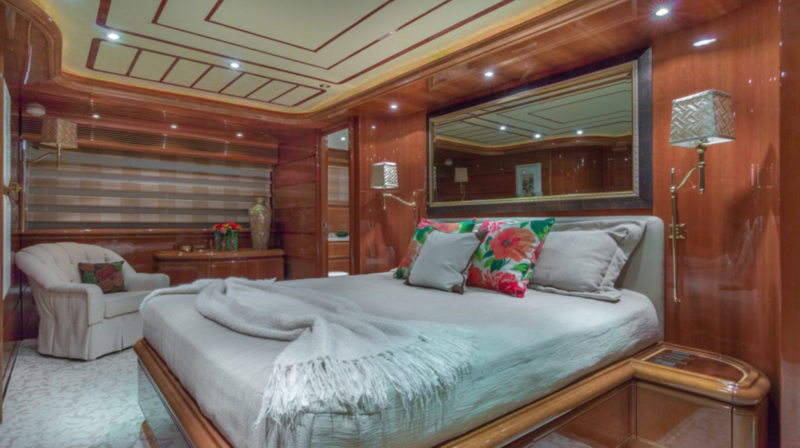 Four staterooms with private bathrooms, sun pad spaces on two levels, a gorgeous interior, aft deck alfresco dining and a serpentine sofa on the bridge all combine to deliver unsurpassed comfort levels for you and your VIP guests. 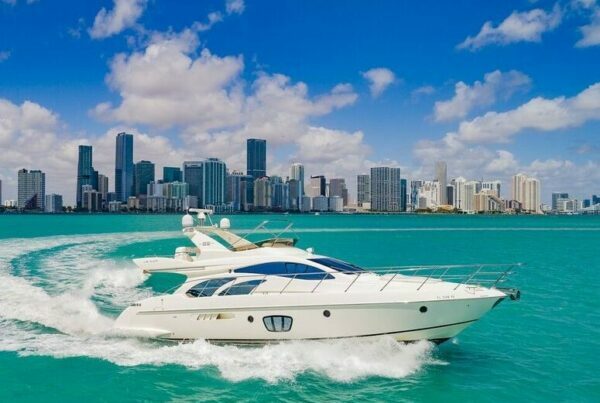 8 hour minimum to multi-days trips. 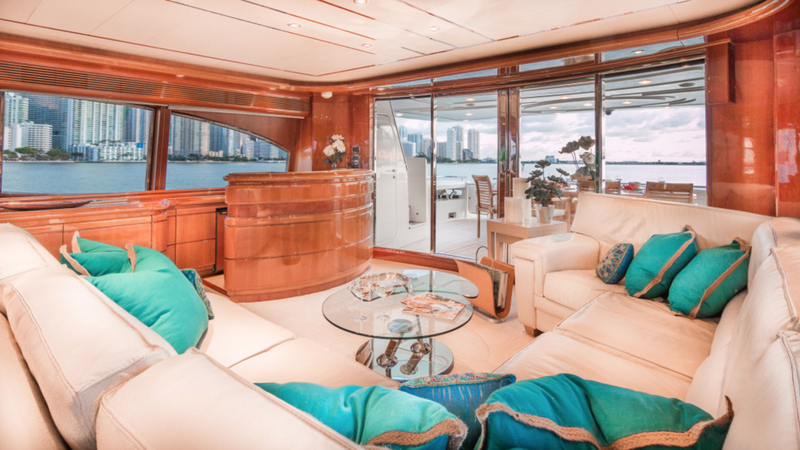 Enter main salon from aft deck through double full length glass doors with stainless steel frames. 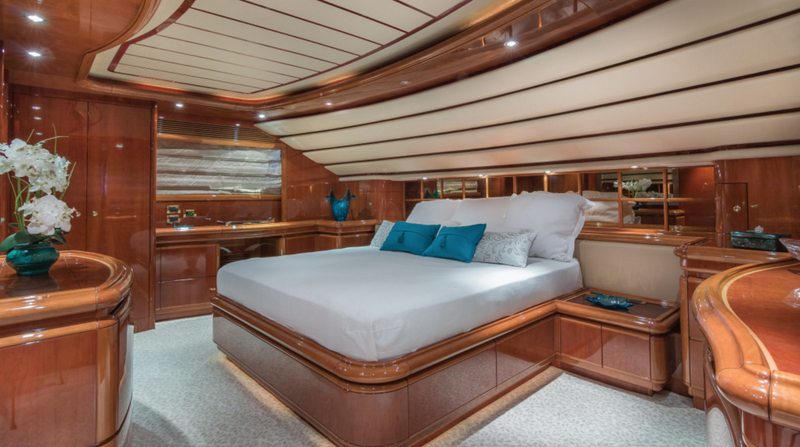 The wood treatment is a high gloss cherry with neutral tones incorporated in the carpet, furnishings and soft goods throughout. 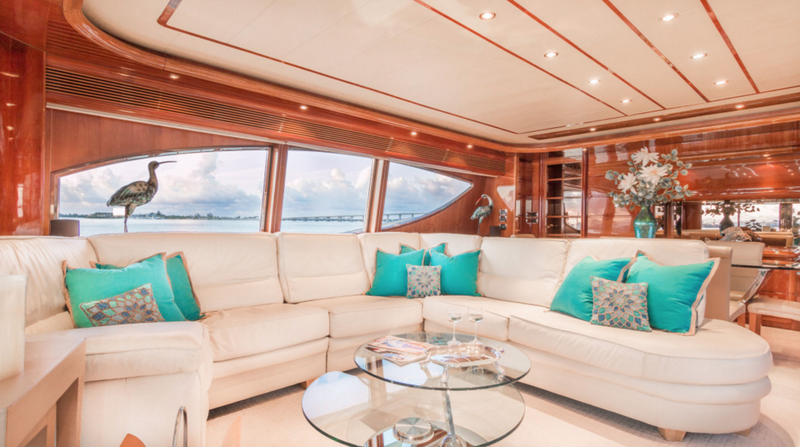 There is a U-shaped couch to port with a bar and entertainment center across to starboard. 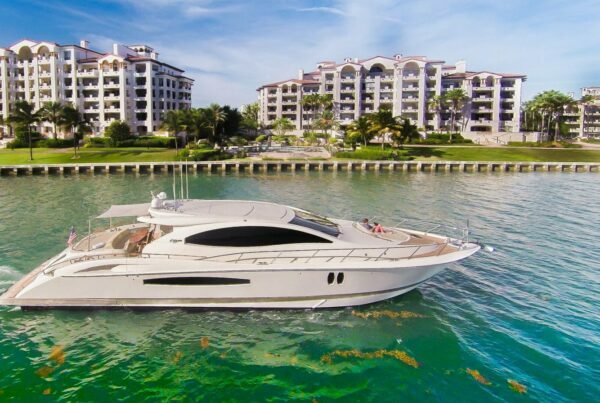 This includes a pop up flat screen HDTV with full surround sound system. 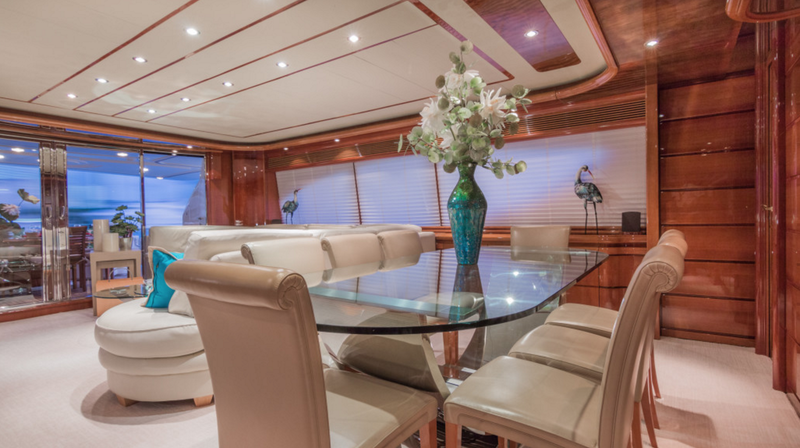 Forward to port is dedicated dining area for eight. 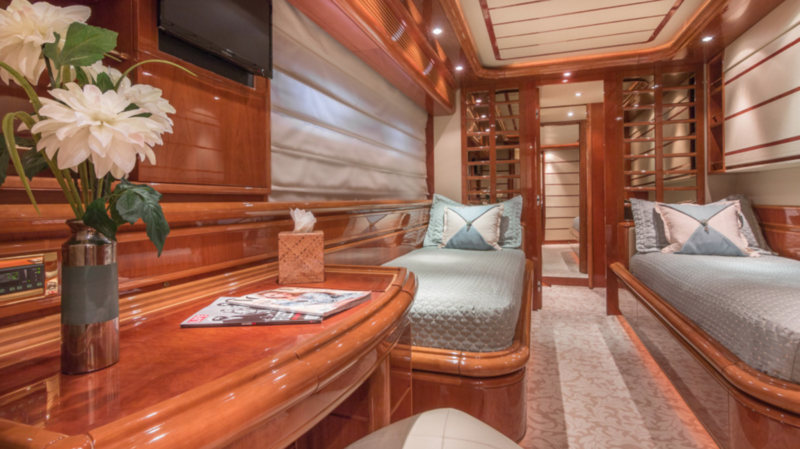 There is considerable cabinetry and furnishings on main deck level that exemplifies the fine Italian workmanship one would expect to find. 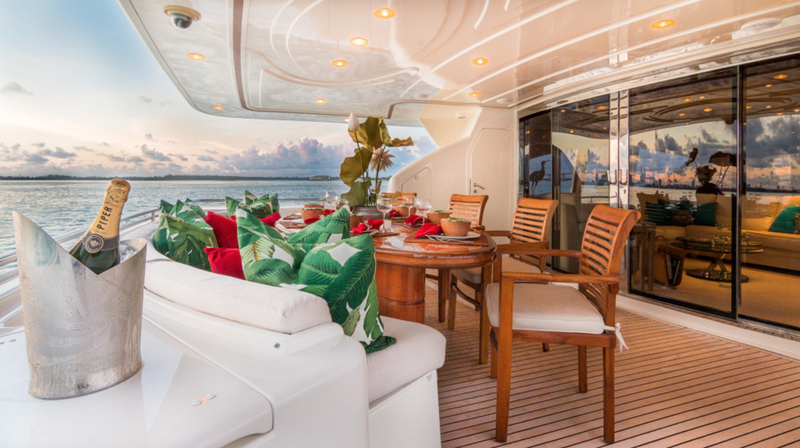 It also provides valuable storage for flatware , cutlery, steam and silver ware which are all inclusive. 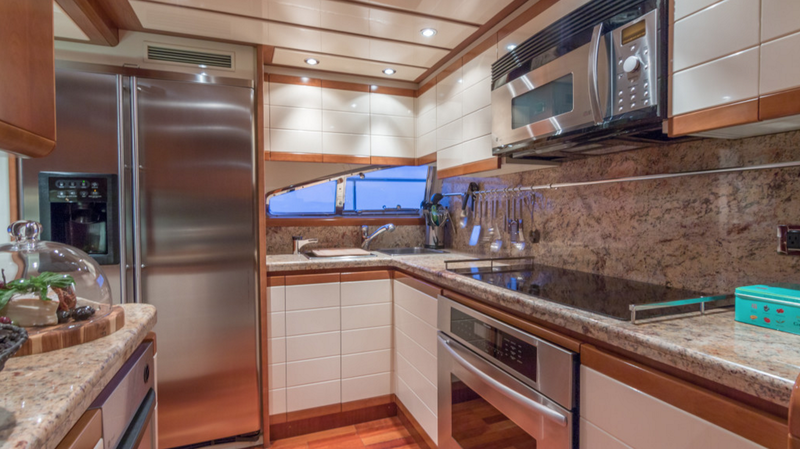 Next, forward to port is the galley, complete with a full array of appliances, being offered fully found with accouterments to satisfy the most demanding chef. 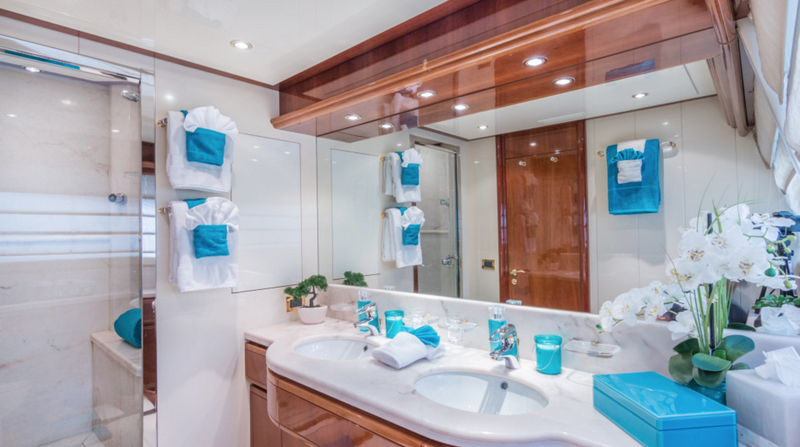 The on-deck powder room is to starboard, across from galley, before entrance to master suite.